Our theatre program is specifically designed for everyone be that students with special needs or seniors looking for a fun, new adventure. Whether you want a one day workshop or weekly classes, we bring the fun to you! Explore with us the three pillars of theatre (singing, acting, and dancing), theatre games/activities, and for our younger students life skills (eye contact, manners, etc). We bring all our own props, sound equipment, and ideas. You provide the space and we’ll provide the fun learning opportunities: Let’s go on with the show! Most of our classes take place in southwest Michigan, but we also travel wherever there is need. With everywhere we service, we’re bound to be at a location near you! Our goal is to efficiently and respectfully teach actors-to-be of all abilities about the creative process of theatre. The founders believe musical theatre can be applied to educate all ages of theatre students about different aspects of themselves and with our younger students; real world skills. Each class is led by trained theatre professionals and culminates in a live performance for family and friends. The process of learning about the theatre and rehearsing a live show promotes teamwork, cooperation, belonging, work ethic, memory, leadership, social skills and maybe most importantly; it’s fun! We provide a fun, creative, and therapeutic activity for children and adults of all abilities. Through our rehearsal and performance process, students will experience personal affirmation, empowerment, and will build important life skills. Our founders and staff of wonderful instructors make 4th Wall Theatre Company a great experience for everyone. Get to know the team on our instructors page. We’ve been published in the December 2016 issue of Autism Parenting Magazine! The article is titled “Fantastic Benefits of Theatre Therapy for People with Autism” by our very own Robin Bennett. 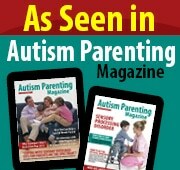 To learn more information, go to: Autism Parenting Magazine’s Issue 55.